PROGRESSIVE INSURANCE – Socialists in Disguise! VERY IMPORTANT INFO TO PASS TO EVERYONE CONCERNED ABOUT THEIR COUNTRY. 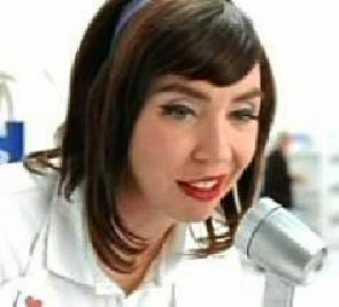 You’ve seen and smiled at the Progressive Insurance TV commercials. You know their TV commercials, the ones featuring the ditsy actress all dressed in white. What you might not know is that the Chairman of Progressive is Peter Lewis, one of the major funders of leftist causes in America. Between 2001 and 2003, Lewis funneled $15 million to the ACLU, the group most responsible for destroying what’s left of Americas Judeo-Christian heritage. Lewis also gave $12.5 million to MoveOn.org and American Coming Together, two key propaganda arms of the socialist left. His funding for these groups was conditional on matching contributions from George Soros, the America-hating socialist who is the chief financier of the Obama political machine. Lewis made a fortune as a result of capitalism, but now finances a progressive movement that threatens to destroy the American free enterprise system that is targeting television shows on Fox News. Peter Lewis is making a fortune off of conservative Americans (who buy his auto insurance) that he applies to dismantle the very system that made him wealthy. He’s banking on no one finding out who he is, so, STOP buying Progressive Insurance and pass this information on to all your friends.